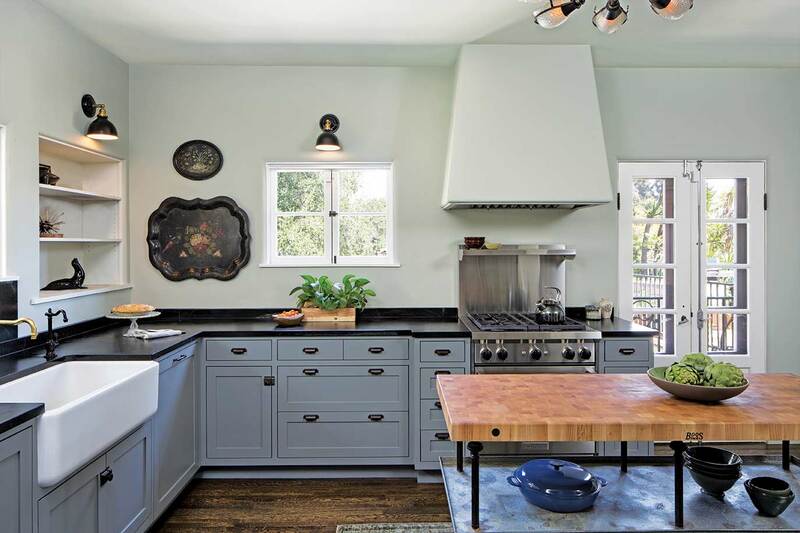 This 1930’s Mediterranean inspired villa contains almost 6,000 sq.ft. of interior space with 4 bedrooms and 5 baths. The three-level residence is located on an irregular “C” shaped lot, offering panoramic views of the surrounding valleys. The residence was originally designed by local architect John Lester Armour for his mother as part of a compound for his locally-prominent family, and no expense was spared at that time. So much so, that it nearly bankrupted the family during its construction. About seven decades later, our clients acquired the property after instantly falling in love with it. Passionate about antiques and art, they saw a great opportunity to restore it and better complement its architectural style. 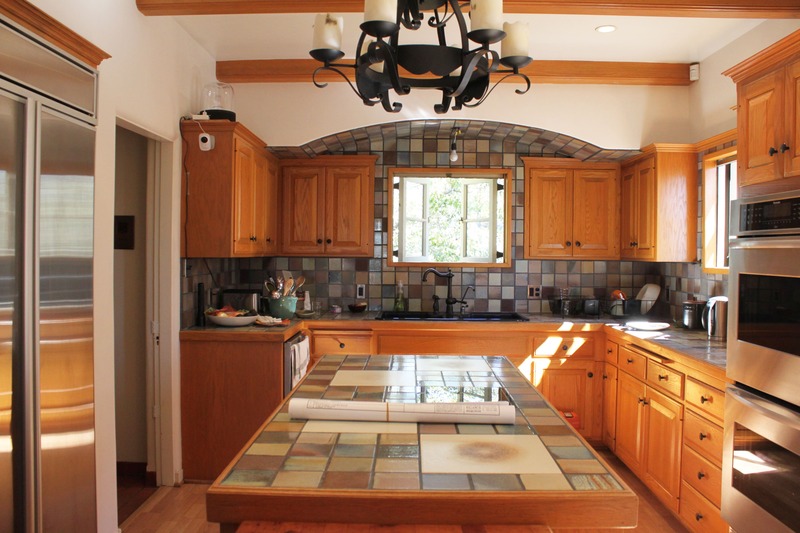 The previous kitchen remodel was estimated to have occurred in the late 1980s, so the main focus for this project was to update its components and stay within the footprint of the space. 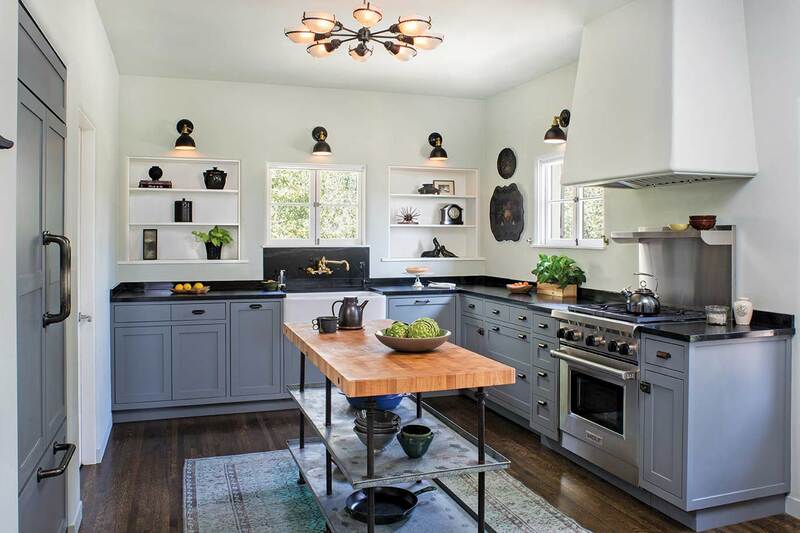 Mirasol’s Honed Black Soapstone was used for the new countertops and backsplash. Characterized by fine veins and flurried patterning, this stone has a traditional, yet still contemporary elegant finish. 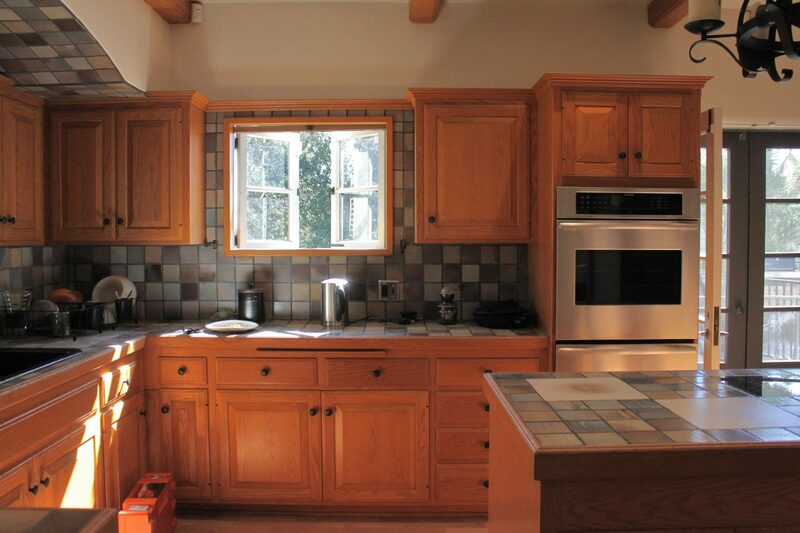 Eliminating the kitchen’s upper cabinets was a priority to integrate more open wall space and recessed niches with adjustable shelves. As avid collectors, our clients have a love and appreciation for unique pieces. 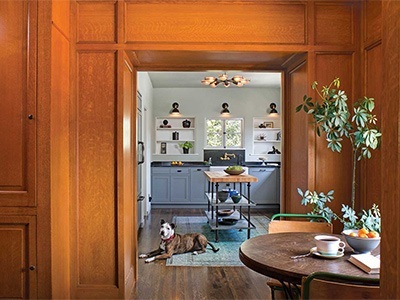 They incorporated many of their own antiques into the home remodel. The butcher block island was a repurposed two-tier greenhouse potting bench. The pulls for the new cabinets came from an old workbench found in the basement. Another distinct period piece replica was the Early Style Quilted Glass Operating Room Light Chandelier. The lamp has a very old industrial style that emanates a strikingly contemporary look. By removing a couple of interior walls, enough space was created for the double pedestal vanity and large walk-in shower. 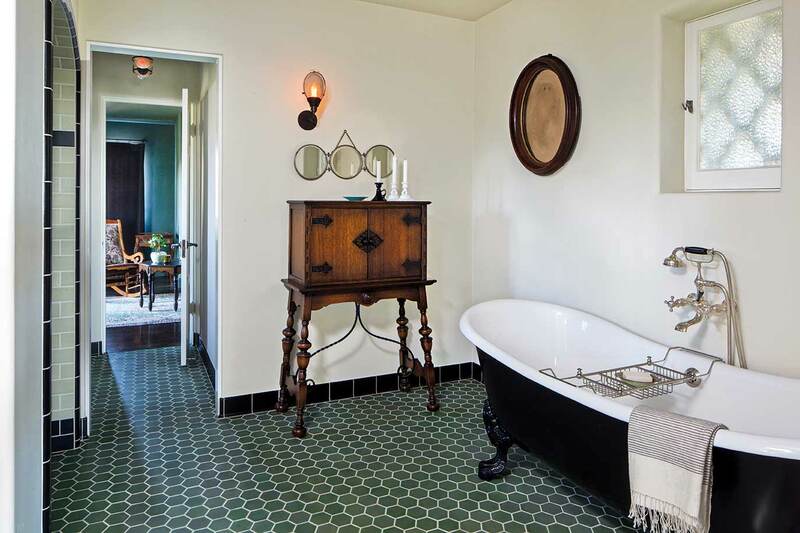 The new Master Bath uses handmade tile and beautiful period-style fixtures. For example, Water Monopoly’s Paris Double Basin is a 1920s reproduction of a French bow fronted double basin. 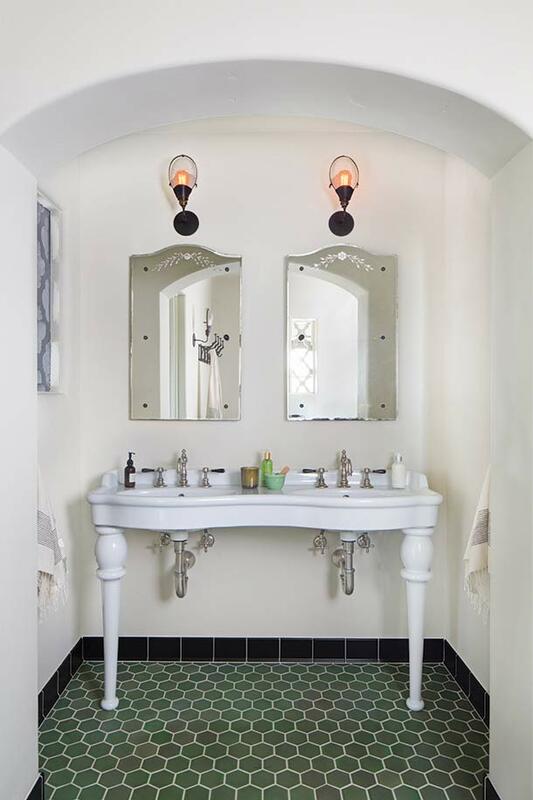 The Quilted Shell Snap-In Sconces and custom-built medicine cabinets add vintage charm. 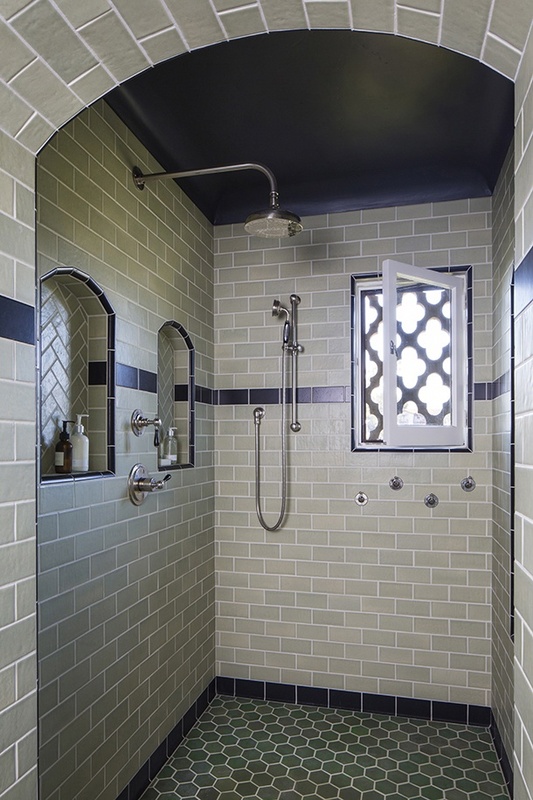 Pratt & Larson’s Ceramic Hexagon Tiles blend seamlessly with Revival’s Ceramic Cove Tile Baseboard in Matte Black. The combination of Penhaglion’s ‘The Kensington’ 73” Cast Iron French Bateau Clawfoot Tub and Waterwork’s Julia Exposed Tub Filler continues this chic and vintage look. We are so proud to have been chosen to work on such a special property and thankful to our clients for entrusting us in transforming their home. To see more of this beautiful project, be sure to visit our portfolio page. To read even more about our clients and their experience, be sure to visit the LA Time’s recent spotlight feature of the Robles Residence.